Bio-Rad Biologic Duo-Flow with Fraction Collector 2128 Chromotography System . 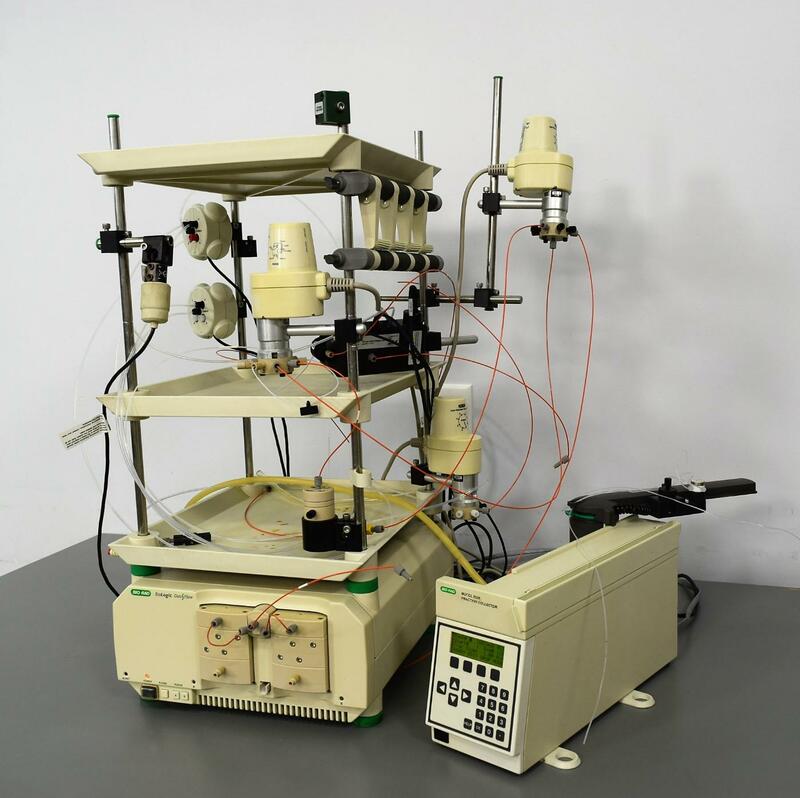 New Life Scientific, Inc.
Our in-house technician inspected and tested this Bio Rad Biologic Duo-Flow with Fraction Collector 2128, confirming it to be functional. Technician tested the system to power on and ran the pumps without any issues. The Fraction Collector powers on, initializes and homes. Technician was able to move to different positions. The end user will need to obtain the software to operate completely.